My strong recommendation is that the first piece of climbing gear you should buy is a digital kitchen scales. In climbing, weight is the enemy. Every single piece of clothing and equipment should be selected with a sharp eye on its weight. Actual weights vary a great deal from the weights in gear manufacturer's catalogs and advertisements. The only way to figure out what things truly weigh is to buy a a kitchen scales and weigh it yourself. Knowing the weight of various items is the first step to trimming the weight down. Create a clothing and equipment list for a particular climb, and see what everything weighs. Then start paring down the weight by deleting items that you can do without, and replacing heavy things with lighter ones. Don't ignore weight savings of a few ounces. Saving a few ounces for numerous pieces of gear can quickly add up to a significant weight savings. Weigh everything you have, and take the scales with you when you go shopping. Buy the lightest weight gear possible that will still get the job done. I try to go as light as possible with my gear for glacier travel and crevasse rescue. For crevasse rescue, I need gear that will allow me to set up a Z haul system. I also need to be able to be able to get myself out of a crevasse by climbing the rope. I try to make my crevasse rescue gear multi-functional when possible. I use the DMM Revolver carabiners in place of pulleys. Trying to set up a Z haul system with regular carabiners doesn't work very well. 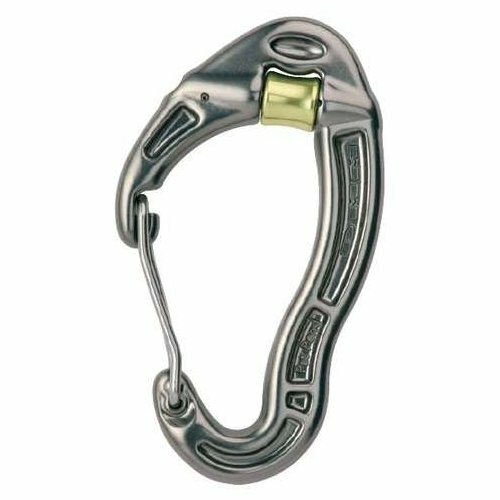 There is so much friction generated by the carabiners, that you lose almost all of the mechanical advantage gained by the Z set up. 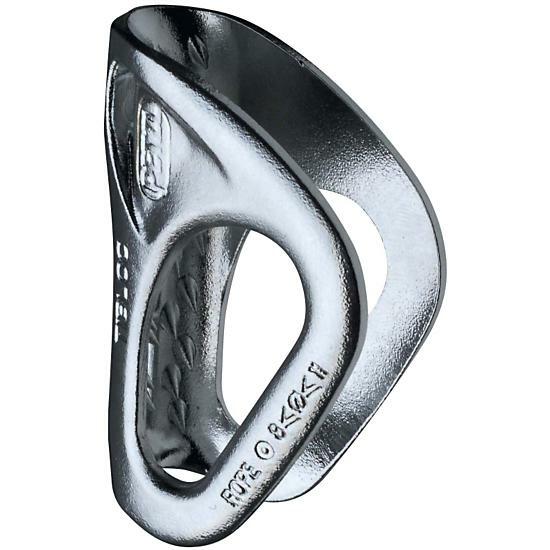 However, the Revolver carabiners integrate a pulley into the carabiner, greatly reducing friction. It doesn't work quite as well as a dedicated pulley, but it works well enough, and once you leave the glacier and get onto the real climb, you can use the Revolver biners for climbing, where they reduce friction and rope drag. I use Petzl tiblocs instead of prussiks or slings. Although it is not really multi-functional like a sling or prussik, a tibloc only weighs 1.4 ounces, and I find them to be much more efficient and easy to use, particularly for self-rescue. I pair them with round bar-stock carabiners that I also use in connection with my belay device. The last piece of specific crevasse rescue gear I carry is a pre-tied set of "Texas Kick" foot loops tied from 4mil cord. It weighs 1 ounce. So, my single purpose gear (tiblocs and foot loops) weigh a total of 3.8 ounces. For melting snow, I have not found anything that is better than the MSR Reactor stove. It is very wind resistant, has amazing heat output, and can be converted into a hanging stove with the addition of the Jetboil hanging kit. It puts out very large amounts of carbon monoxide, however, so I wouldn't recommend using it inside a tent. For cooking when melting snow is not needed, a lightweight stove such as the Monatauk Gnat or Snowpeak Litemax coupled with the Ortik Heat-it is a lighter option. For using butane canister stoves in cold weather, use a Snowpeak titanium bowl. It is useful for scooping up snow, and you can put some warm water in the bottom of the bowl and set the fuel canister in the warm water to keep the stove performing well even in very cold temperatures. The Snowpeak titanium bowl weighs 1.7 ounces, costs about $15, and is sized perfectly to fit a large MSR butane canister. Additional information on stoves can be found on my separate stove page. Click HERE to go to my stove page. Ropes: My decision making process with regards to ropes is pretty simple. If I plan on descending with lots of rappels, or I know that the descent will require at least one full-length rappel, I take twin/half ropes. Otherwise, I take a single rope. For alpine climbing, I use the lightest weight rope I can find. For single ropes, that means the 8.9mm Mammut Serenity, the Sterling Fusion Nano, or the 9.2mm Metolious Monster/Tendon Master. At 53 grams/meter, these are the lightest single ropes I know of. For twins, I favor the 7.8mm Metolious Monster/Tendon Master twin/half ropes. (In the US, they are marketed by Metolius under the "Monster" name, while in Europe, these are known as Tendon "Master" ropes.) They weigh only 38 grams/meter, and they are rated as both a twin and half rope. It's getting harder to find a 40-50 meter rope of any sort any more. Some of my shorter ropes started life as longer ropes, and then got cut down in length, following rope damage (usually getting chopped by crampons or ice tools) or I just cut them down to save weight. Generally speaking, the easier the route, and the less belayed climbing I will do, the shorter the ropes are. Click HERE to go to my climbing gear page.